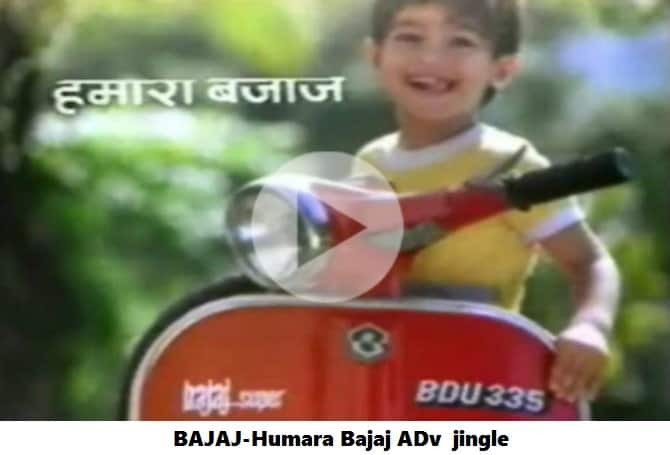 Hamara Bajaj’ might have gone off air now, but it has become more than a jingle today. It marks the cusp that Indian brands were on right before the gates were opened to foreign entrants. When it comes to one of India’s most memorable ones, it seems it can hold its own in court. In 2013, Bajaj Auto managed to stay the use of its most iconic tagline, ‘Hamara Bajaj’, first used as a TVC jingle in 1989. Ad jingle is really beneficial and most important thing for any company’s branding strategy. You can Listen here bajaj Scooter”Humara Bajaj” Ad Jingle Tune for your Inspiration .While your business may be extremely professional and important, choosing a musical genre that your target audience can attract more attention. The message to music is remembered easily, while Ad jingle that describe what your company does sound like all the rest. ‘Hamara Bajaj‘, which harked back to a similar feeling, betrayed the dilemma Indian brands were in during the eighties. “In the mid-eighties, Gandhi had initiated talks on opening up the economy to foreign competition. Yeh zami yeh aasma haanYeh zami yeh aasmaHumara kal humara aajHumara kal humara aajBuland bharat ki buland tasvirHumara bajaj humara bajajBuland bharat ki buland tasvirHumara bajaj humara bajaj.